Kingston’s biggest annual car show is getting bigger! 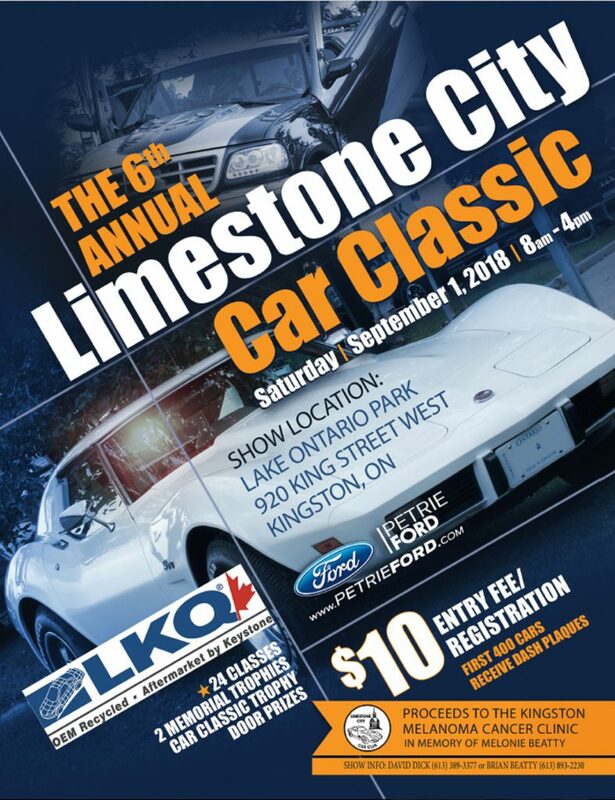 It’s time for the 6th annual Limestone City Car Classic! We saw HUNDREDs of vehicles of all drives of vehicular life make the show from a very wide area! These are not just our normal local vehicles you see at the Friday night cars & coffee either! Join us at Lake Ontario Park on Sept 1 from 8am to 4pm and enjoy a nice day at a water front park with beautiful cars! It’s $10 to register, free to spectate, and bring a few bucks for the various vendors, draws, and confection! Garry Bartraw – 60 Years on the Job and Still Going! To most people – a ‘full career’ means working until you’re 60 years old. To Garry Bartraw, a full career is working for 60 years! This month we’re celebrating a very rare vocational achievement; and not just at Petrie Ford, but perhaps in Canada or even the World. This month 60 years ago Garry Bartraw started work at Petrie Ford (then called Edwards Ford). His job title from the original hiring file – dated 1958 (which we still have) – shows “Parts Salesman”. Although his title has since changed to a more modern “Wholesale Parts Specialist”, he’s excelled at and gained notoriety in the auto industry as a tried and true professional who’s seen – and been – through it all! Make no mistake, this is NOT a retirement announcement. Right now, as you read this, Garry is out making his rounds to our loyal wholesale parts clients. Unless you’re reading this at night in which case he’ll be planning his next day’s client visits and cold calls. The working culture philosophy behind our highly experienced staff at Petrie Ford is simple: Find great people who do great work and treat them like family. Steve Petrie, President and Owner of Petrie Ford has long been known for saying – “I hire good people for life…” . Garry (like many other highly experienced staff and managers) are proof of that sentiment, and perhaps took the “…for life…” part literally! 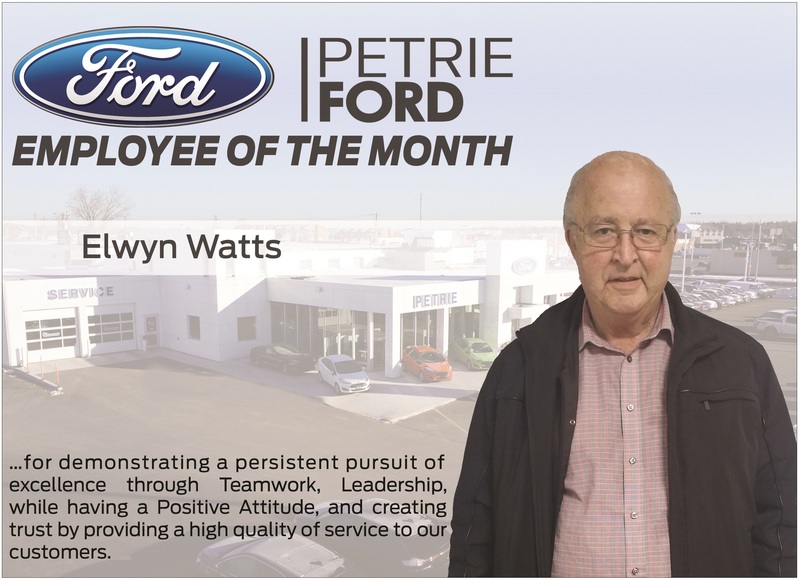 Of the roughly 65 full time employees at Petrie Ford, two have worked over 50 years, three over 40 years, nine over 30 years, one over 20 years and nine over 10 years. And with a swath of fresh young talented hires over the last 5 years, Petrie Ford is priming for the future by learning from those with literally a life of experience. It’s this relay of unheard of experience and wisdom that has made Petrie Ford South Eastern Ontario’s choice Ford store since 1949. 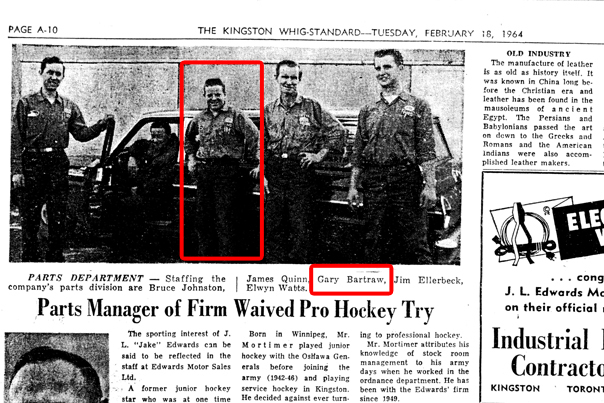 They say that the next generation of workers are less focused on seniority and tenure; but at Petrie Ford the younger staff look up to living legends like Garry as a beacon of inspiration. We would all be so lucky to be able to work at something we love and make a long lasting career out of it. Thank you for your outstanding loyalty, dedication and service over the last 60 years Garry! We’ll see you tomorrow, bright-eyed and bushy-tailed! Dedication – 54 years on the job. 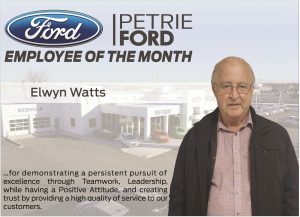 Elwyn Watts has been a staple at Edwards / Petrie Ford for over 54 years. …and after a long, successful career, Elwyn has decided to retire this year. We’ll miss him dearly. We have the original ‘new hire’ file folder from 1963 – the year Elwyn stared at Petrie Ford (then called Edwards Ford). The dealership then was located downtown on Princess St. It wasn’t until 1967 that Edwards Ford traded properties with the Pontiac dealership and moved to its current location at 1388 Bath Road (at the corner of Bath and Centennial). Much of Bath Road was dirt road at the time, and the west end was just starting to be developed. 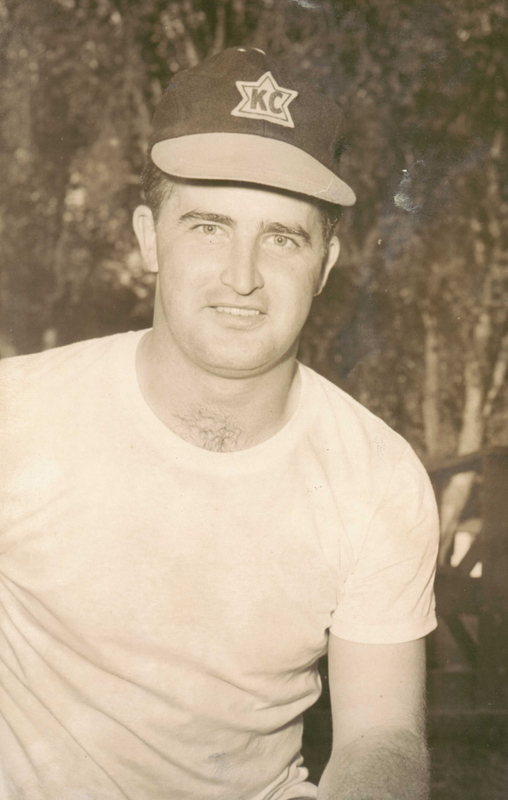 Elwyn’s starting title – in 1963 – was “stock clerk” according to his ‘new hire’ file. That position evolved along with his vast knowledge of auto parts over the years. Since those early day’s he’s long held the position of “Wholesale Parts Specialist” having catered to our business-to-business clients for decades. He’s become a bit of a local legend in the automotive community. He’s well known and trusted as being a true expert on all things relating to automotive parts! It’s safe to say that not many people work for over 54 years. It’s an achievement the likes of which the current and next generation of workers will probably never see. After such a long tenure, his retirement announcement is certainly bitter-sweet. It’s well deserved time off, but he’ll certainly leave a hole in our Petrie Ford hearts! All the best Elwyn. Good luck in your new chapter in life! It’s that time again Kingston! 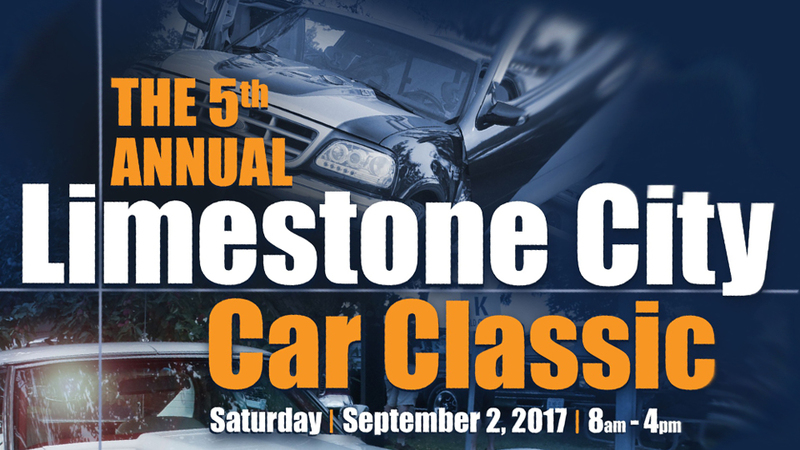 Petrie Ford is proud to be the lead sponsor for the 5th Annual 2017 Limestone City Car Classic – on Saturday, September 2nd, 2017. From 8am to 4pm. The event has grown by leaps and bounds over the last 5 years, and this year will be no exception! Petrie Ford will be there front and centre with a few Mustangs, sport edition sedans and a classic – all original – 64′ Stang, too! 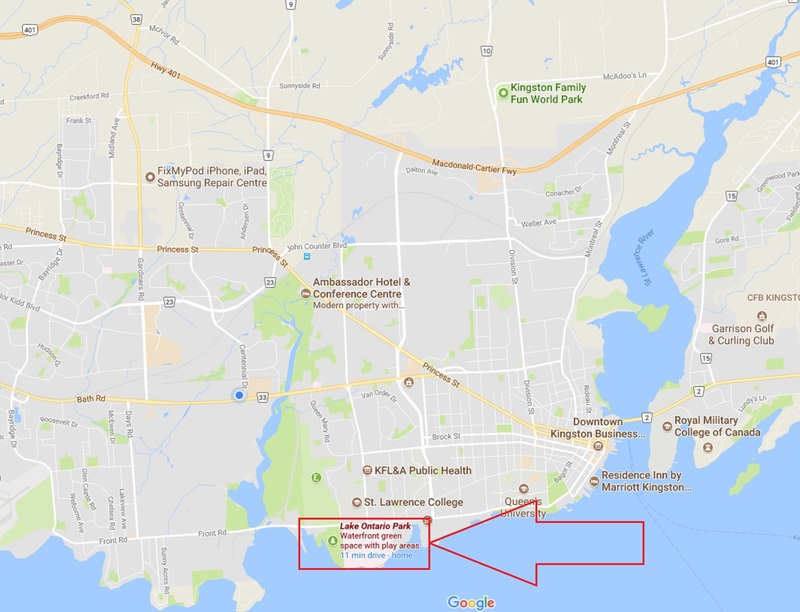 We’d like to thank the show owners and organizers for facilitating a very well organized, fun, and well thought out show at Kingston’s best venue for a car show – Lake Ontario Park! Directly on Lake Ontario, there’s lots for kids to do (with a huge playground and splash pad), and a lot more! Food vendors, prizes, and a great time will be had by all! See you out there! Here’s a map of its location – Pop this into your GPS! Petrie Ford initiated a giving campaign to bring additional attention and resources to charities providing services around Kingston, ON accessible within a one hour drive or roughly 85 KM. Any non-political, non-religious charitable organization with a qualifying T3010 designation is eligible to participate or be considered for support as part of this program. In 2017, Petrie Ford initiated a program designed to support our community the way you all have supported us! Now continuing in 2017, any non-political and non-religious charitable organization with a qualifying T3010 designation is eligible to participate or be considered for support as part of this program. Logo placement and/or recognition on our website. Charity must be nominated on the Petrie Ford Facebook site each month. Charity nominations are opened on the 1st of the month at 1:01am EST and closed on the 15th of each month at 6:00pm EST. Voting is opened the 16th at 1:01am EST and closed on the last day of the month at 12:59 am EST. No charity may win two consecutive months. Charity or organization must provide proof of T3010 charity if applicable. Proof should be emailed prior to vote ending. Provide hard copy to dealer at time of award. Petrie Ford reserves the right to change, cancel or disqualify this program or a participant at anytime if we feel a charity or organization, its supporters or other has acted against the spirit of the program. Ultimate decision of monthly winners is determined by the management or staff of Petrie Ford, and will be approved or disapproved within 72 hours of contest’s end. Petrie Ford is hoping that this effort will allow a variety of groups and organizations to get recognized for their hard work and dedication to our community. We sincerely hope that all area charities will participate and reap the benefits presented within this program. Contact us at Petrie Ford for more information. Here’s something that doesn’t happen everyday – Ford launched a brand new model of truck! This is a brand new sport or street inspired F-150 with many ‘firsts’ for Ford. Continue reading to see all of the first’s on this wild F-150! Kingston Used Car Listings – Done Right! Top 5 Ways to Find the BEST Used Car In Kingston! So how do you know when you’re actually looking at a GOOD used car in Kingston? What do you look for? How do you know it’s going to last you 2 to 5 years with minimal expense? What sets used car dealers in Kingston apart from one another? I often hear these questions from customer’s and I always give the same advice. Here are my Top 5 ways to seek out a GREAT used car in Kingston!